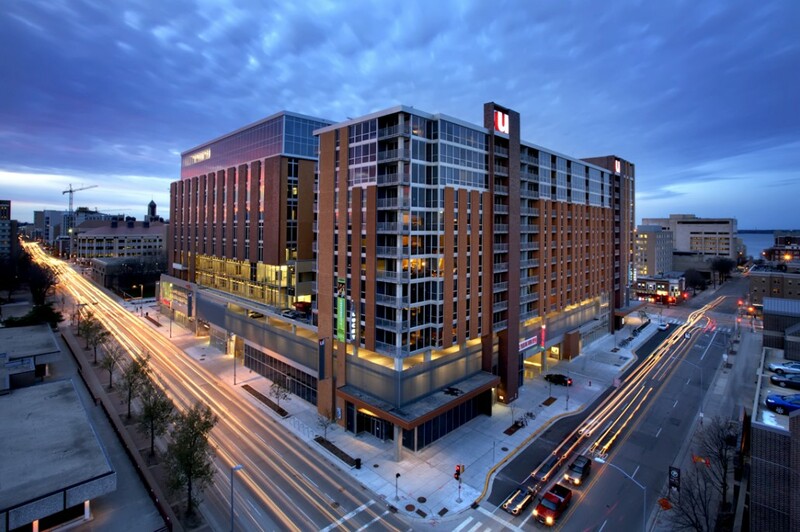 At 1.1 million square feet, University Square is the largest mixed-use project ever undertaken in Madison. 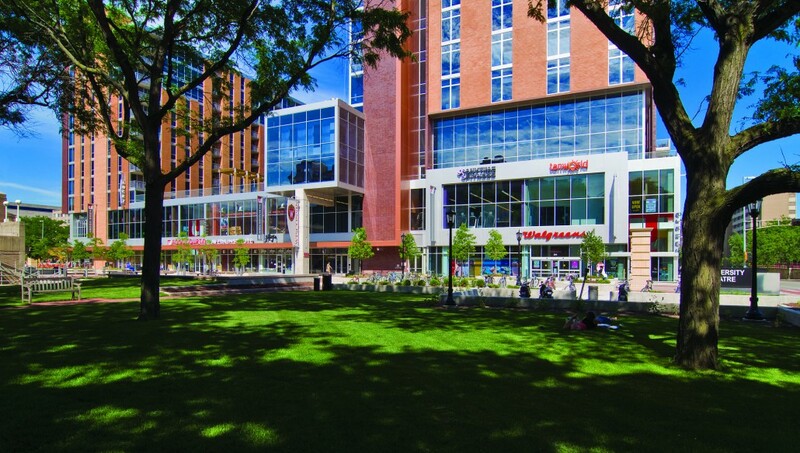 After nearly eight years of planning, design, and approvals this project is an amazing revitalization of a previous under utilized block in the heart of the UW Madison campus and downtown Madison. 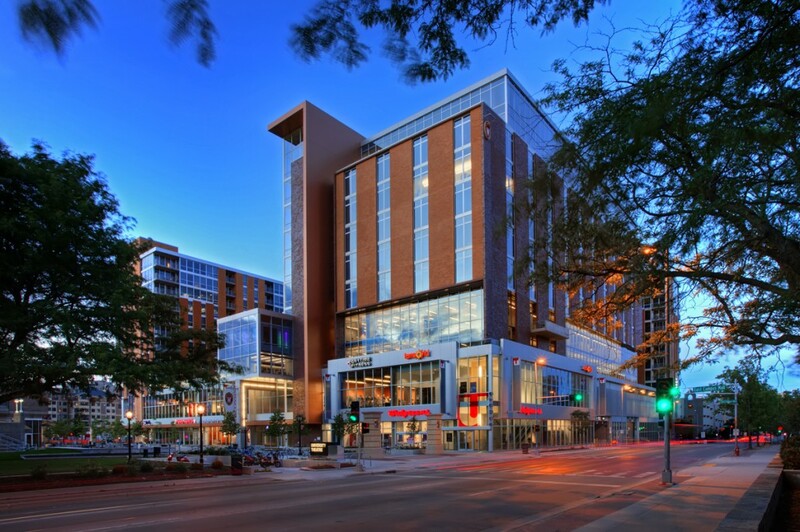 Combining 130,000 sf of retail, 360 residential apartments, 250,000 sf of university offices and services, with 434 on-site public and residential car parking spaces and 612 bike/moped parking spaces, the project has built-in traffic for the retail component and is situated within close walking distance for downtown office and government workers, faculty, staff, and students. 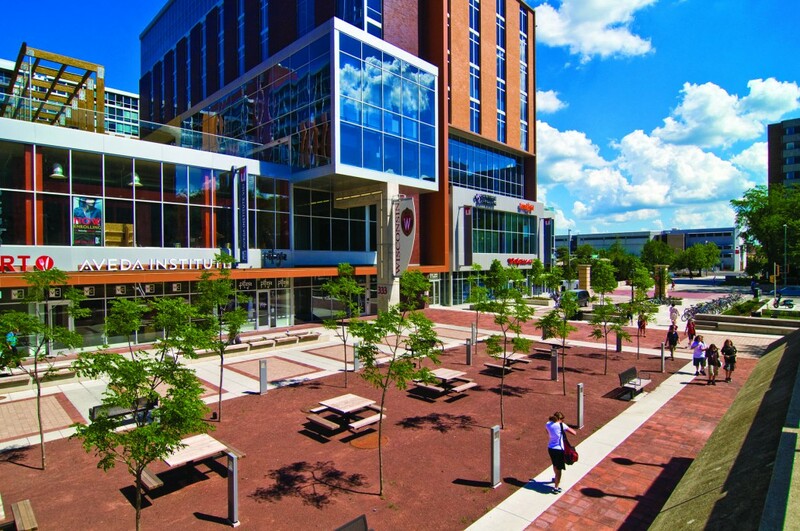 Sustainability was a central design focus, with the most visible feature being Madison’s largest green roof. This 40,000 square foot outdoor space provides a park-like environment that functions as a stormwater management system, allowing plants to absorb rainwater and prevent runoff. 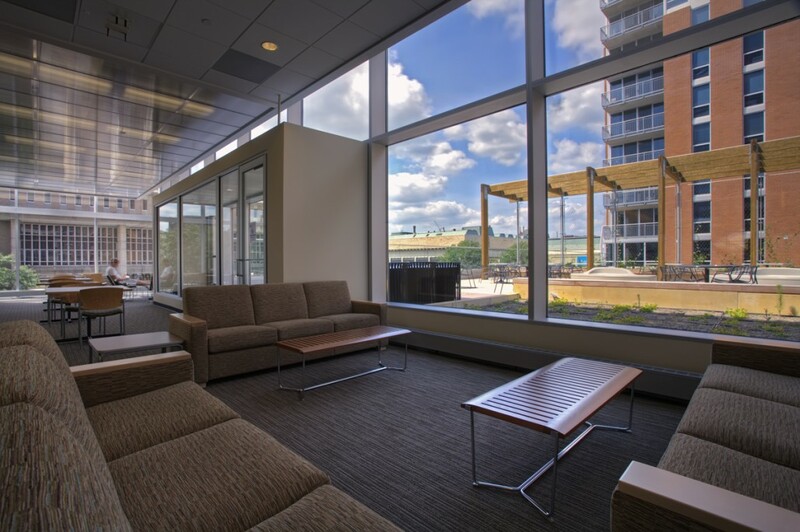 The green roof includes perennial gardens, concrete patios, benches and tables to give the space a park-like feel. Community Asset Award – Downtown Madison, Inc.